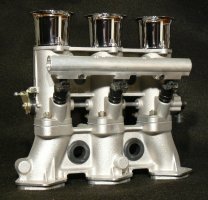 We offer Throttle Bodies fro PMO, TWM, Weber & Hilborne depending on the application. Please call the best option for your engine. We have throttle kits available for many engines, Please call or e-mail us with your project details.